We provide industrial cleaning services including: vacuum truck services, hydro blasting, tank cleaning, line cleaning, and other cleaning maintenance services. 7 day per week response. We are currently seeking candidates for immediate hire! Our customers have important work to do. When something gets dirty and production is interrupted, that’s where we come in. 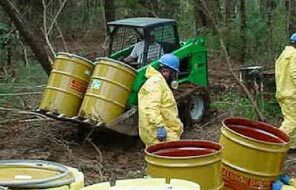 We are a self-performing industrial cleaning contractor and have been serving the southeast United States for over 20 years. 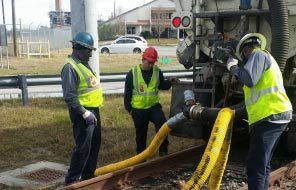 We provide a variety of services, including (but not limited to) vacuum truck services, hydro blasting, tank cleaning, line cleaning and maintenance services. Additionally, we offer a 24 hour spill response service, roll off and vacuum box container services, dust management, dry ice blasting, sand blasting, steam cleaning, chemical cleaning, water blasting, and soil remediation. We pride ourselves on doing jobs that no one else will do and that mentality has led us to become the most desired industrial cleaning company in the southeast. Contact us today and let us earn your trust.